•	Use a sturdy four leg ladder and fix it safely on firm base. Avoid standing on top most rungs of ladder to reach up to the gutter area. Expert always recommend a tall stepladder over an extension ladder. Avoid standing on ladder to clean the roof in icy, wet or wind conditions. •	While cleaning gutters, make sure you wear safety work gloves in order to protect your hands from harmful bacteria sticking out from the trough. Prefer shoes and avoid working near dangerous power lines. •	Bees, birds, bats or wasps, you will never know what may fly out of downspout. So always wear safety goggles for eye protection before start the cleaning procedure. •	Scooping out is considered as one of the best methods to remove the leafy and toughest debris from the rain gutter system. Prefer a plastic scoop over metal scoop in order to avoid any damage to bottom part of the rain gutter. •	Don’t forget to rake off all the debris accumulated on the roof of your house. Otherwise, you will see lot of debris mounting up into the clean gutter during next rain season. •	Once you have removed the larger debris, use hose to spray the water with strong pressure at leader pipe. This will help you to remove murky debris as it will easily flow down with water from downspout. •	If downspout is making any annoying sound during rainstorm then attach magnetic sponges around it. They will absorb all the water and let you to stop the water dripping sound. Like any other job, cleaning up rain gutters becomes easy if you use right tools and follow proper techniques. 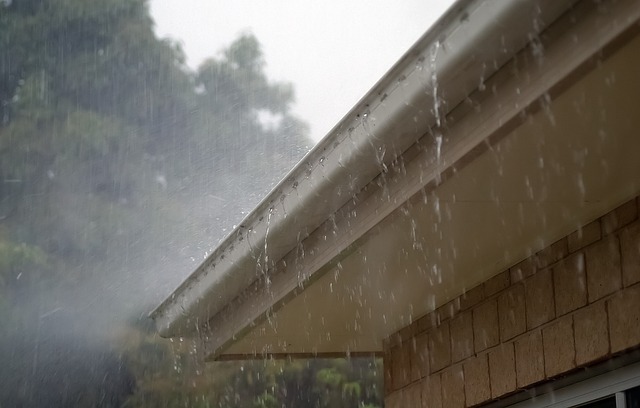 Above mentioned tips will definitely help you to save both money and time while cleaning gutters.